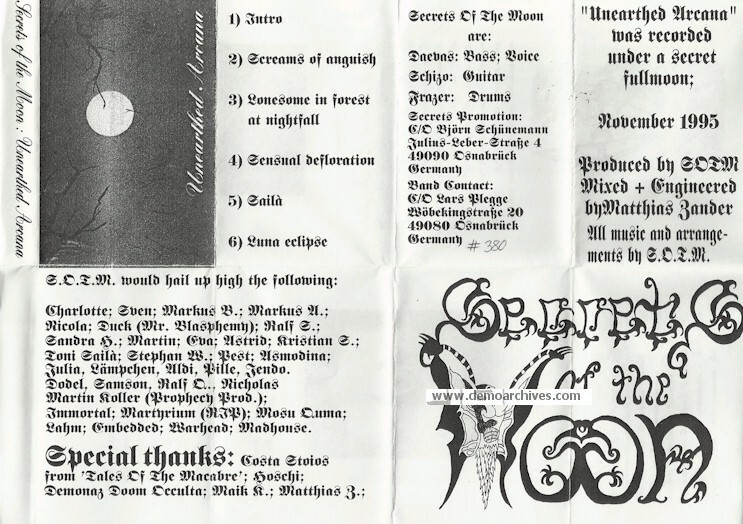 Formed in 1995 after the split up of Martyrium. 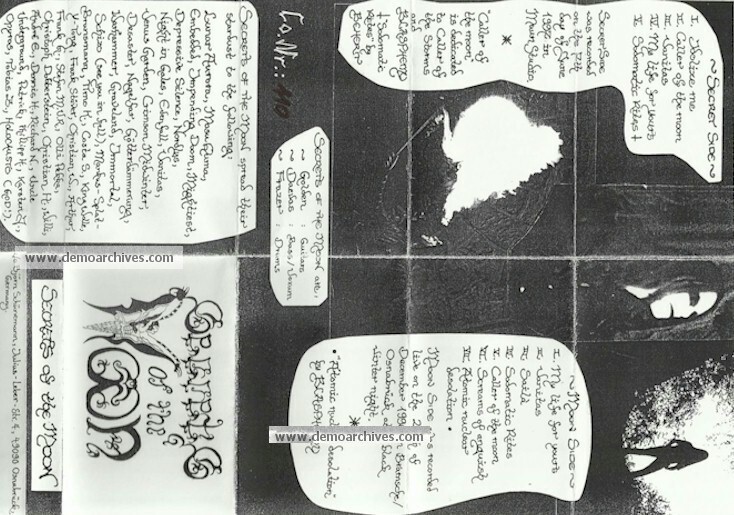 Released three demo tapes in the late 90's and did their first album Stronghold of the Inviolables in 2001. Xeroxed cover and regular tape. Handnumbered by pencil. Xerox covers and regular tapes. Handnumbered. Tracks 1-5 are the side "Secret" and tracks 6-12 are the side "Moon" with live tracks.